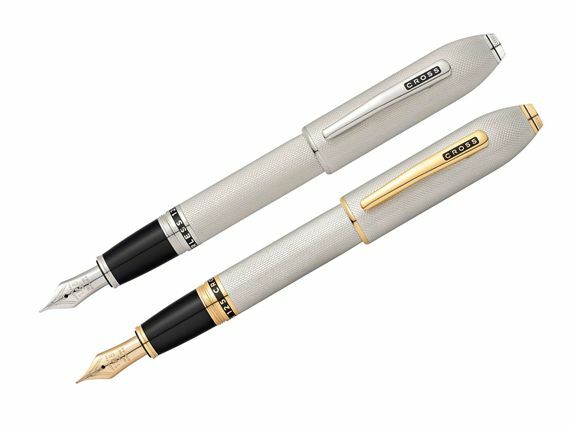 Order your Cross Peerless 125 Platinum Fountain Pen today from FahrneysPens.com. Fine Pens, Refills & Luxurious Gifts – great prices & fast shipping. Celebrating its heritage of innovation and unparalleled accomplishment, the Cross Peerless 125 Platinum Fountain Pen is the finest writing instrument Cross has ever brought to market. Its a tribute to two landmark events in Cross' history: the 1889 debut of the original Peerless fountain pen; and the introduction of the iconic Century line in 1935. Fusing elements of these two classic pens together, the collection embodies the simple, beautiful design language that has made Cross an industry legend. 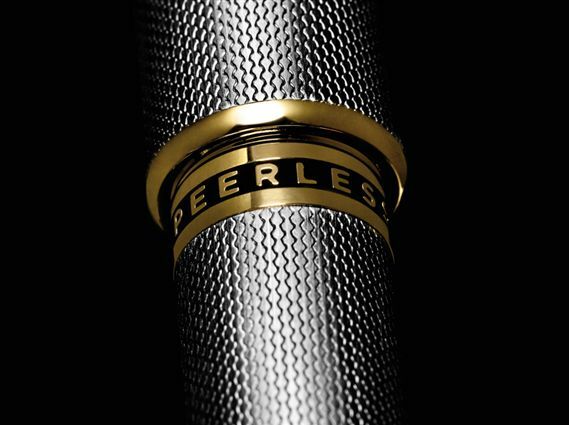 One look at the Peerless 125 and you'll know its a powerful, bold, wide-bodied pen for those who are serious writers. Its conical crown has a round bezel set with a premium Swarovski® crystal with brilliant facet cut. Impeccable details include rich, black lacquer inlays and precious metal appointments. The luxurious finishes are outstanding in every way: Platinum Plate with gold-plated accents; 23K Heavy Gold Plate; or the sleek Obsidian Black Lacquer with rhodium trim. The fountain pen has a new, wide nib crafted in solid 18K gold engraved with "125". 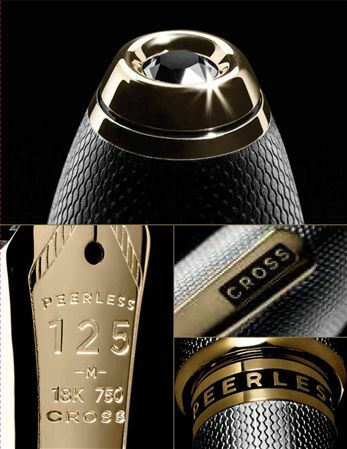 Each pen is engraved with a unique serial number and presented in a custom Peerless 125 box. Cartridge/converter fill. Converter included. I love fountain pens. I have been collecting them for 20 years. Some are limited editions cost you over $2000; others are more pedestrian. I love them all. When I saw the saw the Cross Peerless, I was intrigued. I have a couple vintage Cross pens. They were average, surely nothing to 'write' home about. I took a gamble on this pen. 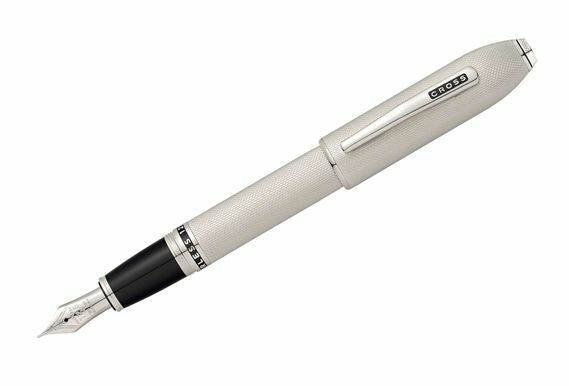 I have never thought of spending this much on a Cross pen before. Fahrney's delivered the pen within a couple of days. I was immediately impressed by the look, feel, and balance of this instrument. The nib sides effortlessly across the paper. The flow is consistent. I have yet had to initially add extra pressure to get the ink flowing. I have only one pen that does as well in this regard and it is a Namiki that cost over six times what this one did. I have only been using cartridge ink so far. I have a friend approaching a significant birthday. I am considering buying him one. This pen now goes wherever I go. Try it' you will love it.